The modernly built Trakia Plaza Apartments were opened in 2008, offering comfortable and cosy apartments. 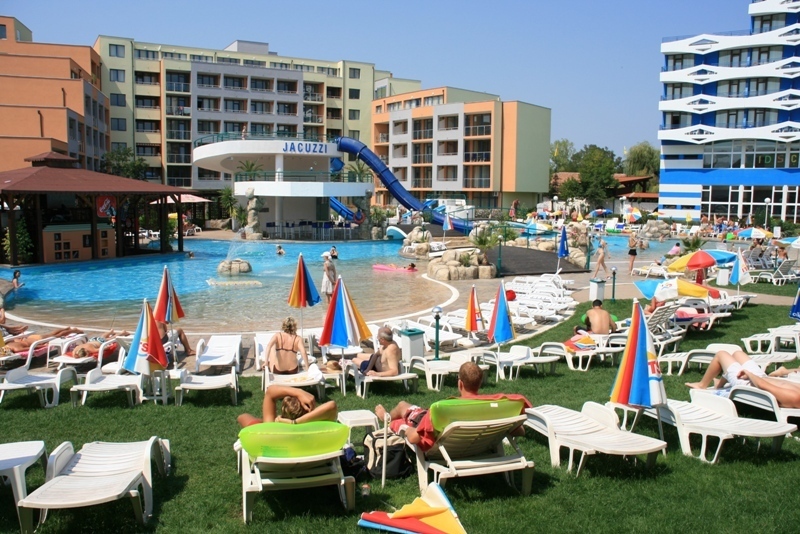 The Apartments are in the very heart of the popular Sunny Beach resort and is close to the Multiplace discothèque and the Chuchura Restaurant. 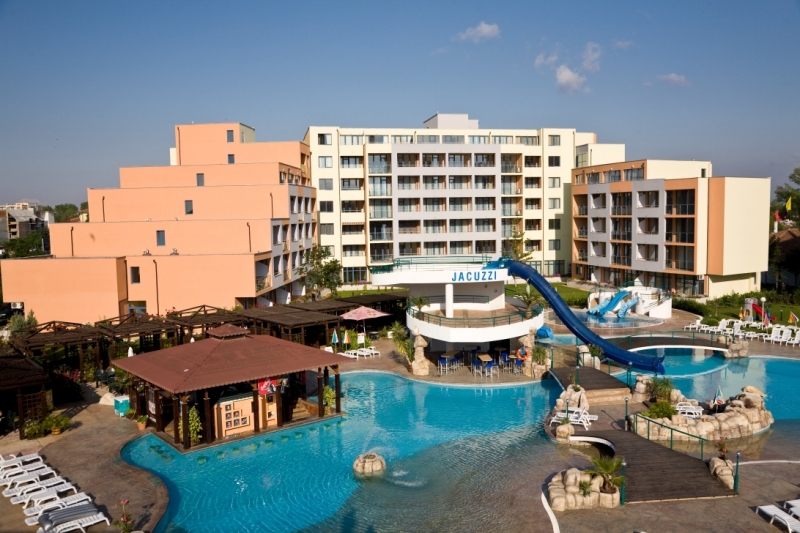 The apartments' building is located in a park area, next to Trakia Plaza Hotel, 300 m away from the beach and 600 m from the center of Sunny Beach Resort. The apartments were constructed in 2008 year. 1-bedroom and 2-bedroom apartments, each with A/C, balcony, Sat TV, telephone, equipped kitchenette and shower/WC. The maximum possible accommodation in the 1-bedroom apartments is 2 adults + 2 children; in the 2-bedroom apartments - 4 adults + 1 child or 5 adults. The guests of the apartments are using All Inclusive services of Hrizantema |Hotel, located in the immediate vicinity of Trakia Plaza. There are also outdoor swimming pool with children section, pool bar, snack bar, table tennis, massages, billiards, deposit boxes at the reception, parking lots, exchange desk, elevator.